Nonwovens Package - Fastmarkets RISI - Objective Insight. Better Decisions. The nonwovens packages includes a complete view of the global nonwovens market. 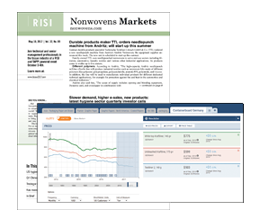 Updated twice monthly, Nonwovens Markets helps you keep with the latest market shifts, mergers and acquisitions, technology advances and more. Nonwovens.com provides daily updates on industry developments. Nonwovens Markets PriceWatch gives you a concise report on key price metrics for the disposable and durable nonwovens sectors and their key raw materials. The Nonwovens Price and Cost Monitor is a quarterly report that provides benchmark prices for major nonwovens categories, plus estimates of costs for major fibers, resins, and pulps – along with a 2-year rolling forecast. Nonwovens Company Profiles is a unique guide to the 37 most important Nonwovens producers. Profiles include, where available. 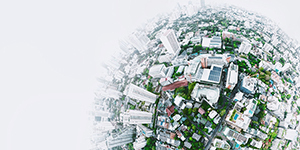 The Monthly Economic Commentary provides current data and analysis of global economic trends along with an economic outlook.